We went to Baguio without itinerary because I just have no time to prepare and our trip fell on our coding day pa so I thought we will just stay in the hotel. We can commute naman but there were occasional rainshowers during our visit so baka mahirapan din kami. While researching, we found out that there are certain areas in Baguio that we can still access and we just need to avoid the CBD area. We checked-out early and we started our tour in Camp John Hay. 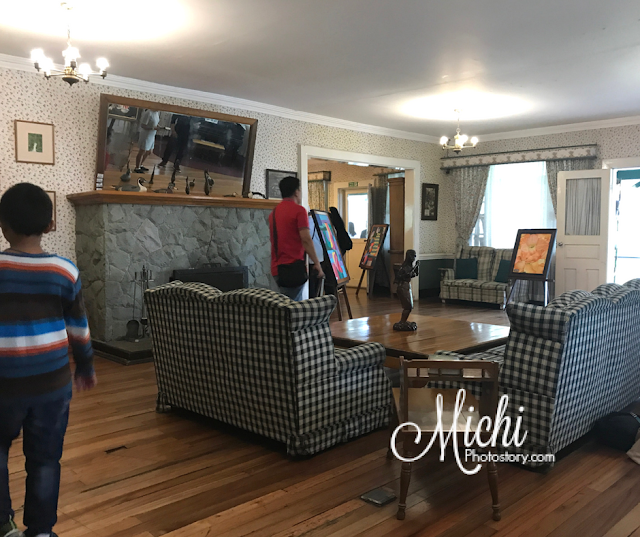 If you remember my Manor Hotel review, my husband discovered the Historical Core Tour in CJH so we decided to check it out. 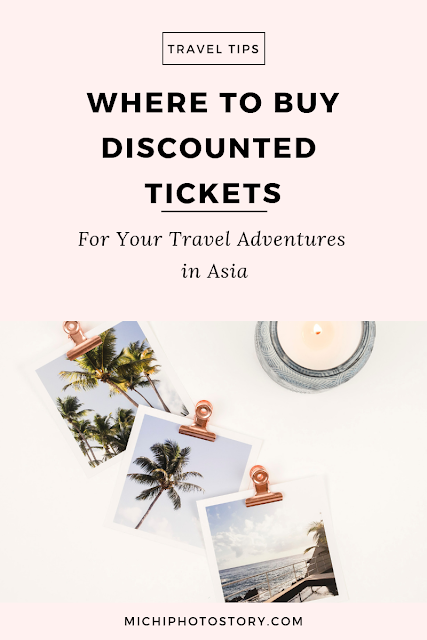 There is an entrance fee, no tour guide, no flyers so you can just tour the place on your own. There are seven tourist spots that you can check, unfortunately, the Bell House Library Museum was under construction during our visit. 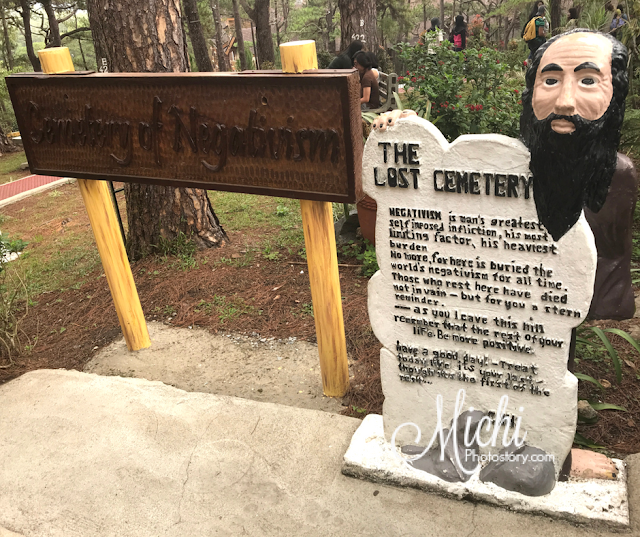 If you want to know more about Camp John Hay or if you love history, you will enjoy this tour. It is a walking tour so expect na hihingalin kayo sa paglalakad especially sa history trail. The All American themed house of Major General James Franklin Bell. 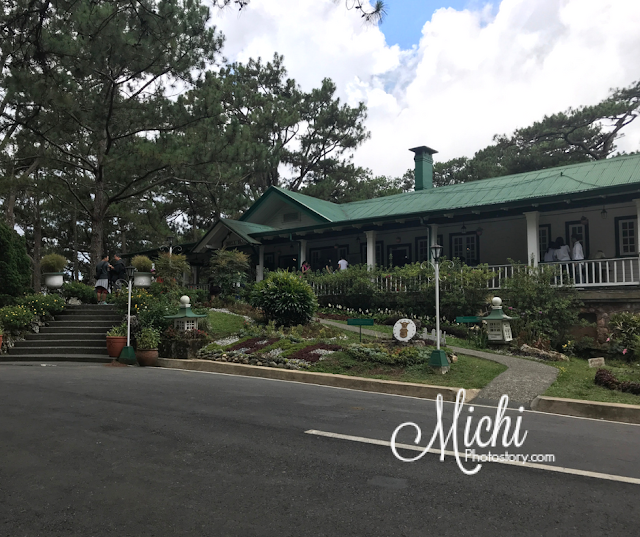 He designed this house and other structures in Camp John Hay. It gives scenic view of mountain ranges, pine forests, and manicured lawns and gardens. Major General J. Franklin Bell personally designed and supervised the construction of the Bell Amphitheater. It was completed in May 1913. It is a perfect backdrop for all occasions like wedding. “A calm rest with nature” A perfect place to make promises or whisper prayers to the elements. It is made by Ernesto Dul-Ang who was employed by the camp as a wood carver. The Totem Pole has the image of leaders who helped shape the development and history of Baguio City, Camp John Hay, and the Philippines in general. They are Admiral George Dewey, General Emilio Aguinaldo, Pres. William Howard Taft, Secretary John Milton Hay, William Cameron Forbes, Pres. Theodore Roosevelt, Major General Franklin Bell, Lt. Col. Lyman W. Kennon, Mayor James Hanselma, and General Douglas McArthur. 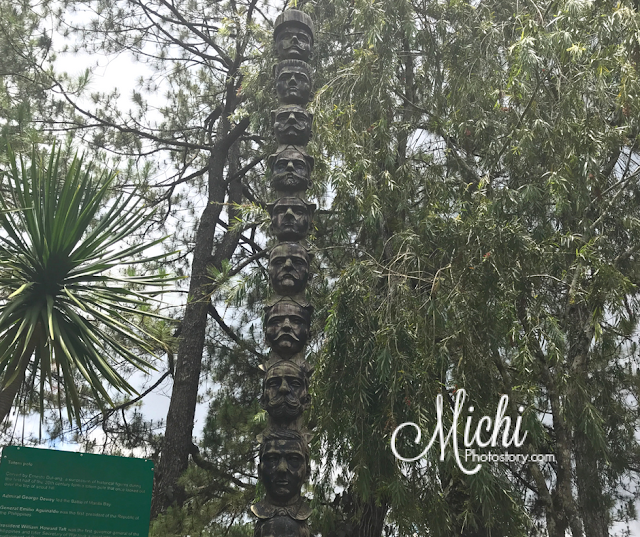 Learning the history of Camp John Hay while taking a walk under the pine canopy. Take time to read the history posted along the way. It is approximately 500 meters in distance so it is a walking tour that my son did not enjoy. Hehehe! 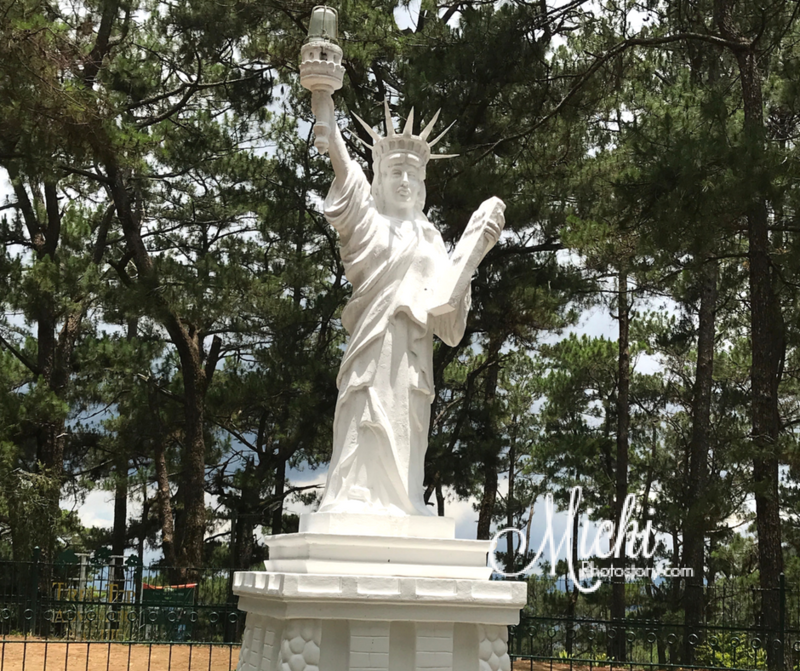 After our Historical Core Tour, I saw the Statue Liberty and I was really surprised because I’ve been to Camp John Hay for the nth time but it was only last April that I saw this statue. Oh di ba, no need to go to France, meron dito na kapareho ng statue nila. The Statue of Liberty portrays the figure of a woman who had just won her freedom. The torch in her right hand is a light to others to follow. The law book in her left is a symbol of justice. Broken shackles lie at her feet as she steps forward to enlighten the world. The Statue of Liberty at Camp John Hay erected on December 1981 stands exactly 48” high - the same as the original located at Point de Grenelle Bridge in Siene, Paris, France as symbolic and beautiful as her sisters. We did not stay long at CJH because the rain started to pour again. 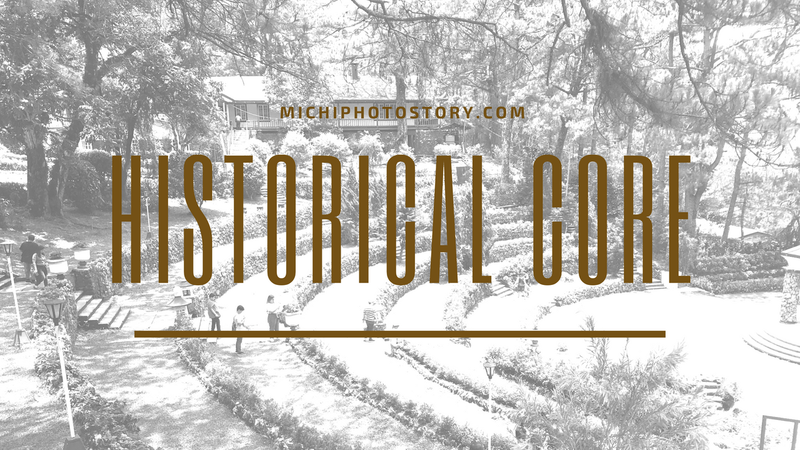 Buti na lang natapos namin ang Historical Core Tour before umulan. This coming November we have our family vacation in Baguio, IO will add this place in our bucket list. 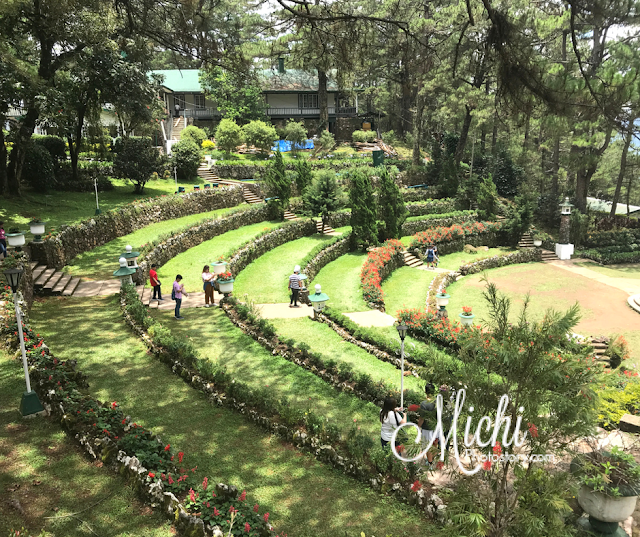 Baguio has always been a favorite place to visit even if a lot would say it is already crowded. 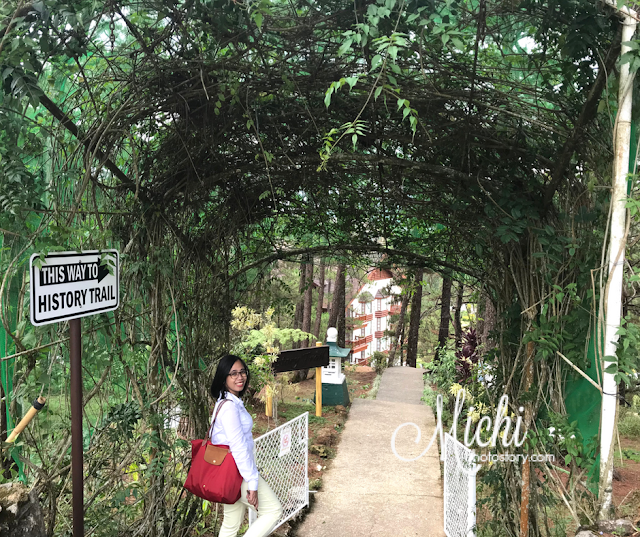 Baguio remains to be a charming place to me.